If you need motivation and inspiration, try to look at the pictures of the most charming cities around the world. These dream destinations comprise busy urban feel, beauty created by humans, and even some wondrous natural places. If you are planning to travel, but can’t quite decide where to go, check out this list. Perhaps, you’ll find information about a spot that will make you fall in love with it. This city has been the setting for numerous books and films. Its rich history and stunning architecture add to a unique kind of appeal. Each building has a character that can only be created by numerous generations of people living in them. Overall, if you have ever dreamed of living a fairy tale, it is the place you definitely need to go to. Paris has many famous landmarks, including the Seine, the Louvre, the Eiffel Tower, and the Triumphal Arch. Have an evening shopping on Champs-Elysèes, or be sophisticated while drinking coffee at the Place des Vosges. Perhaps, you’ll just wander the streets of Montmartre to take in the atmosphere. Paris contains multitudes of things to do. Whether you decide on a boat tour or a museum crawl, it is up to you. Prague is a very quirky place known for its citizens’ strange sense of humor. It is also called the city of the thousand spires due to the wonderfully preserved cathedrals and monuments dating all the way back to the Middle Ages. The must see places of interest include the Old Town Square, St. Vitus Church, and Charles Bridge. For those interested in strange things and art, the Mucha and Kafka museums are always open. 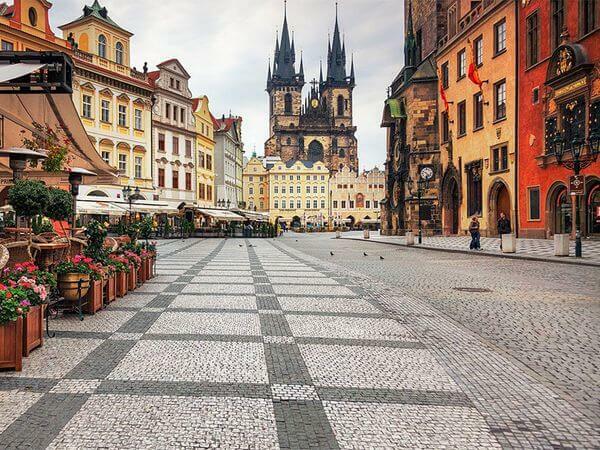 Go on and wander the cobbled streets of Prague and see what secrets it might confess to you. Lisbon, like many other European cities, was built on the hills surrounding a river. Many well-placed terraces and viewpoints allow the visitors to gaze at the picturesque Tagus River. The city has a very unpolished feel to eat and is considered to be a busy capital, as well as a charming European getaway. Many façades are tiled and mixed in one pastel feel. If you are a history buff, you’ll be interested in numerous famous explorers that departed this city to discover what the world was really like in the 15th century. There is an old and famous joke, in accordance to which, God spent six days creating the world and dedicated the seventh one to Rio. Whether that is true or not, Rio is situated in one of the most naturally beautiful spots in the world. Even before people started creating their first settlements here, the location had been something to behold. Now, in combination with stunning architectural feats, Rio is one of the most enchanting cities one can visit. Whatever city you decide on, try all you can once you get there!